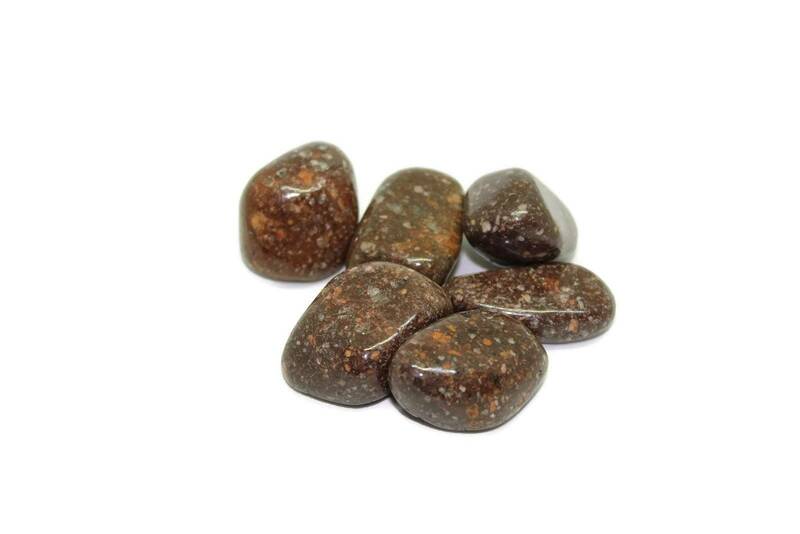 Tumbled Porphyry pieces measuring 20-30MM approximately. Interesting little Porphyry tumblestones, measuring around 20-30MM along their longest point. 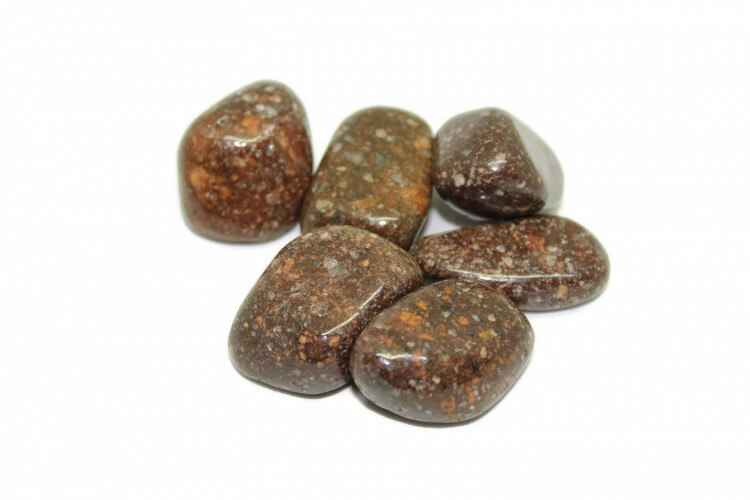 As our supply of these unusual tumblestones is limited, we sell them singly. Porphyry is not a stone you often find tumbled or polished at all; although it has been used for carving and artifacts throughout history. It is most often used for things like paving nowadays – you won’t find it faceted and cabochon pieces are rare too. As a rule, it will typically only be sold rough to mineral collectors. There’s no reason collectors wouldn’t want a polished piece too, though. 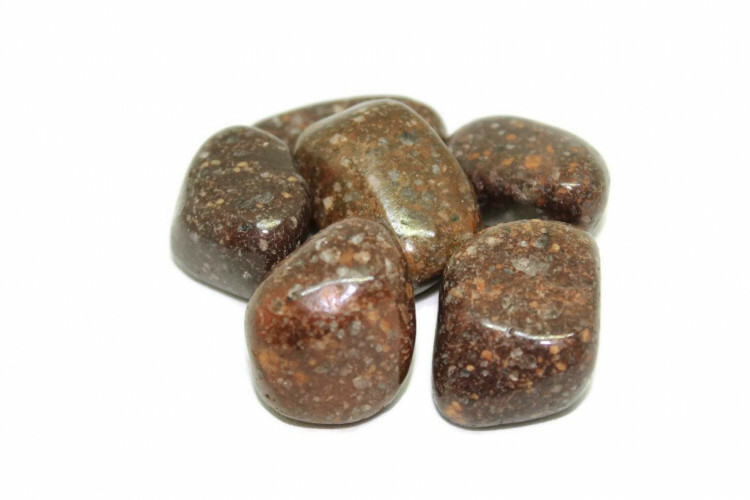 For more information about Porphyry, and a full list of all of our related products, we suggest looking at our ‘Porphyry’ page.